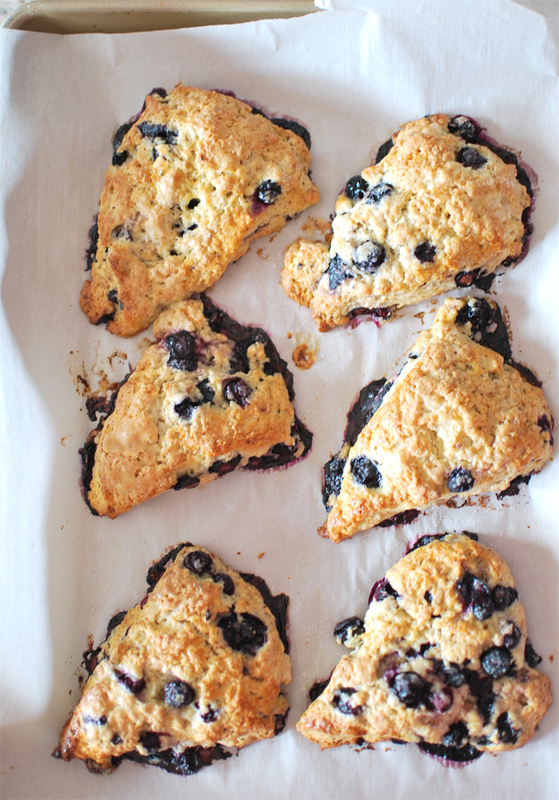 One of my favorite baked goods to eat are blueberry scones. Whenever I see it on a menu at a cafe or bakery, I always order one. So I like to think of myself as somewhat of a blueberry scone connoisseur. I've even tried my hand at baking a few but with no such luck of the delicious kind. 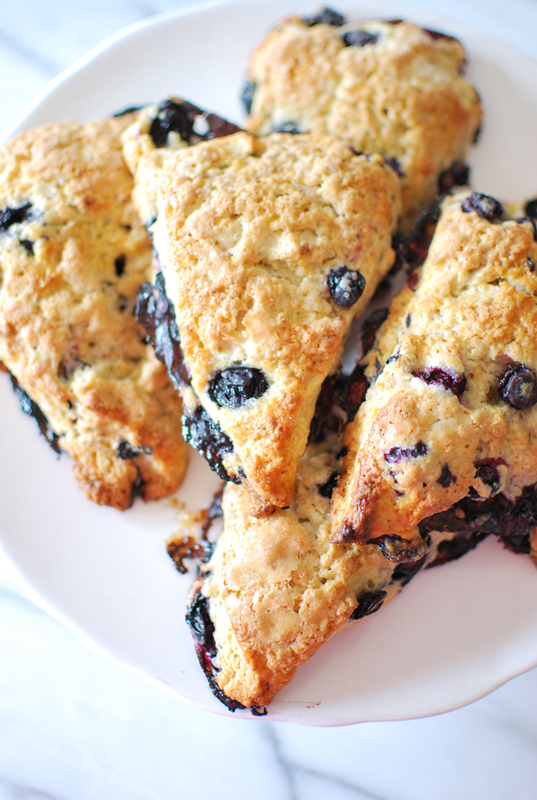 The other day though, I was really hankering a blueberry scone from Starbucks, because to me that is the best blueberry scone I've come across yet, but I didn't feel like making a trip to Starbucks with both girls just for the sake of satisfying my blueberry scone craving. Sooo, I started searching for recipes so that I could bake some instead. And ya know what? 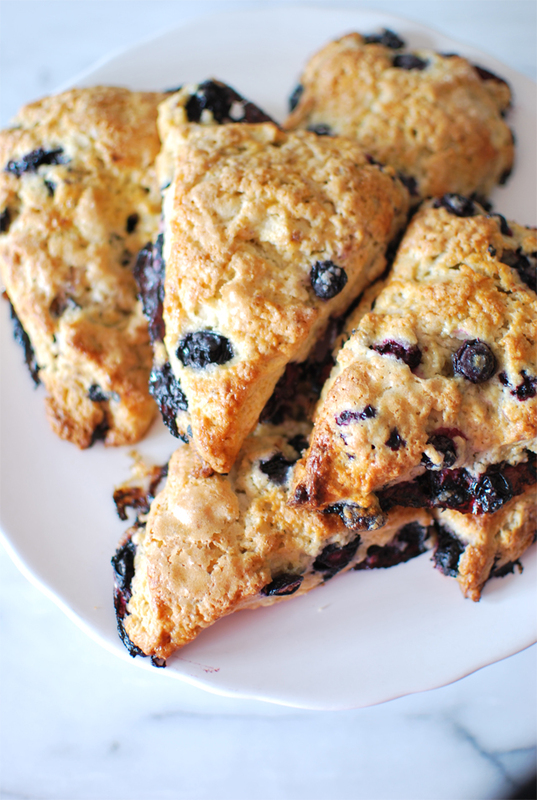 I ended up coming across a copycat recipe for Starbucks' blueberry scones! 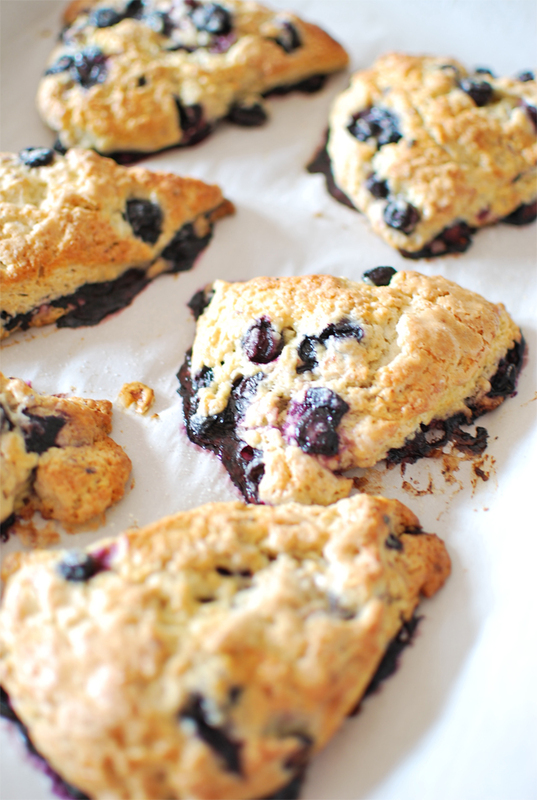 I cannot tell you how happy this discovery made me, because now I can make my own tasty blueberry scones for when I get those random cravings. 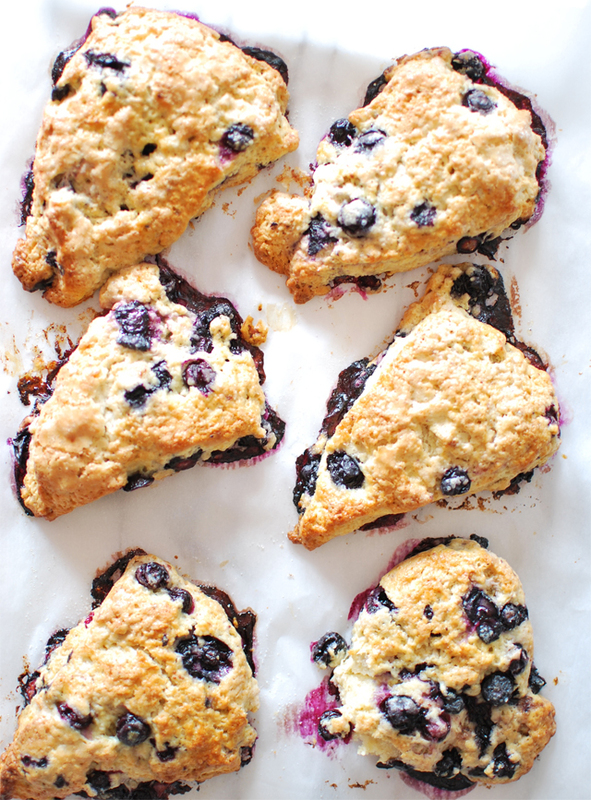 These scones hit the perfect balance between just sweet enough that it satisfies anyone who has a major sweet tooth, yet dough-y enough to make it feel like you're being quite proper in eating a scone. Recipe from Starbucks Restaurant Copycat Recipes. - Cut the butter into 1/4 in cubes. - Sift the flour, salt, baking powder and sugar into a large bowl. - Add the butter to the flour mixture and using a pastry blender, combine until the mixture resembles coarse crumbs. - Whisk the egg, cream and vanilla together and stir into the dry ingredients until just mixed. - Gently stir in blueberries. - Dump the dough onto a floured surface and pat into a 8" circle. (should be about 1.5" high). - Cut into 8 pie shaped slices and place pieces on a parchment paper covered cookie sheet. - Whisk the egg and cream together and brush on the top of each scone. - Sprinkle sugar on top. - Bake for 16-20 minutes, or until golden brown. 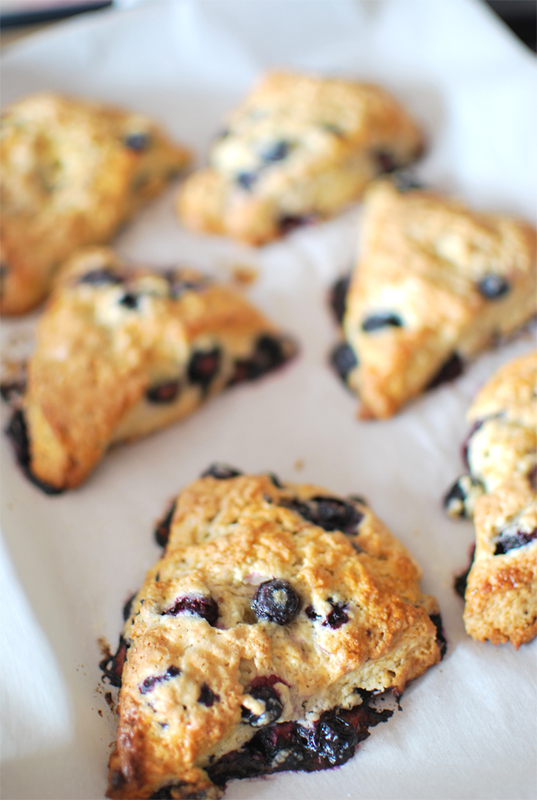 These scones look absolutely delicious, I’m going to try them out! I have really enjoyed looking through your blog and have nominated you for The Liebster Award; you can check out your nomination at the link below! Keep up the great work!